On the surface, Marcel’s Letters is a fascinating story. Once you dig a little deeper, though, you realise the book is a strange hybrid. Part novel, part historical research, part obsessive manhunt, part personal journey, part account of the creation of a script font – the author, graphic designer Carolyn Porter, organically intertwines all of these aspects into a coherent, gripping page-turner. The catalyst for the story is a stack of letters in French signed by a certain ‘Marcel’ dating from the end of the Second World War. Porter discovers them in an antiques shop in Stillwater, Minnesota She is instantly smitten with the meticulous handwriting whose beauty and elegance contrasts starkly with the stamps bearing the likeness of Adolf Hitler, swastikas and other Nazi symbols, along with some mysterious marks. 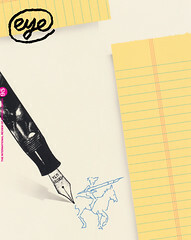 In fact, Porter is so enamoured of the handwriting that she decides to turn it into a digital typeface. What initially seemed like a fun project takes an unexpected turn. During the development of the font – a project that gradually grows out of proportion – Porter finds herself intrigued by the letters’ contents. Who was Marcel? To whom did he send the letters? Why was he in Germany during the Second World War? Did he survive the war? When Porter has one of the letters translated, what she learns is completely unexpected. Little by little, the story of Marcel starts to take over her life and she sets out on a mission to uncover and recover the fate of this man. Her journey is messy, full of surprises, and littered with disappointments and small victories. The suspense is real: because these events actually occurred, there is no guarantee that all of the loose threads will be nicely tied together by the end. What are the odds that Marcel’s letters would end up in the hands of someone who could not only craft them into an award-winning script font, but who also turned out to be an excellent writer? There is exactly the right amount of focus on the historical facts, the search for Marcel, and the development of the typeface to make the novel attractive to a wide audience, from graphic designers to history buffs. 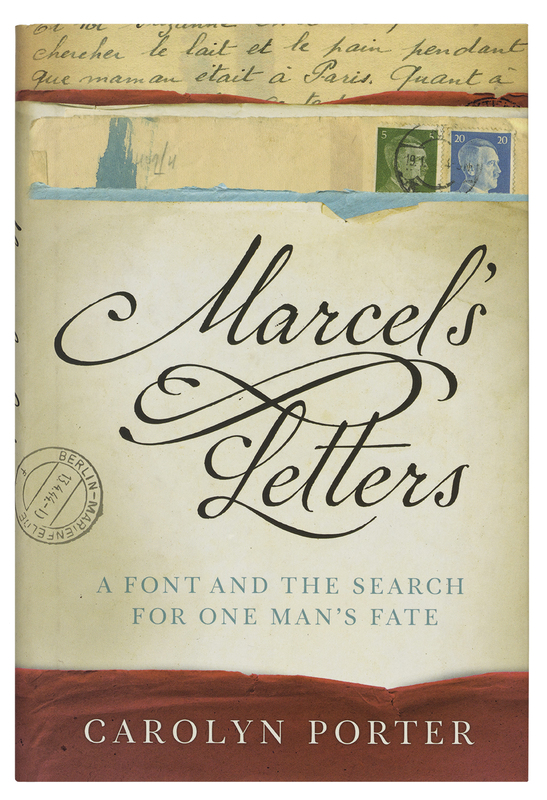 Marcel’s Letters also gives the reader an intimate look into the private life of the author. The first-person narrative inexorably draws you in; the reader experiences the setbacks that cause crushing doubt and witnesses how the dogged search turns into an obsession that starts to affect Porter’s marriage. This lends the story an urgency that grabs the reader by the throat. Most of all, Marcel’s Letters tells a story of empathy, of genuine concern about another human being’s fate. Even if that person is a complete stranger, an ocean and three-quarters of a century away and speaks a language you cannot understand. Empathy may be the most valuable trait a designer can have, and Porter has it in spades, which is what makes the novel such an engrossing read.